Glossy lips are "back" but the reality is they never really went anywhere. As much as I love a matte lip, the allure of something a little shiny will always win me over. I am a reformed gloss addict after all. 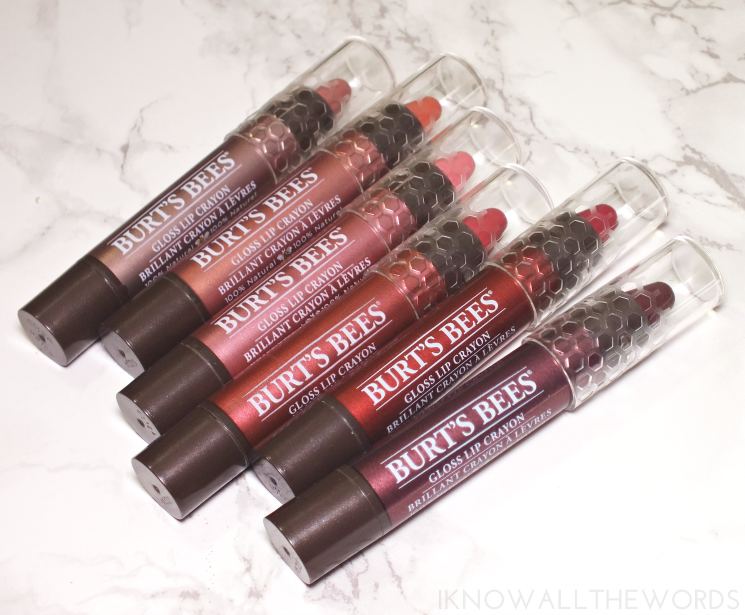 If you're longing for something a little glossy too, the Burt's Bees Gloss Lip Crayons offer up the perfect blend of lip loving moisture and shine with the pigment of a lipstick. 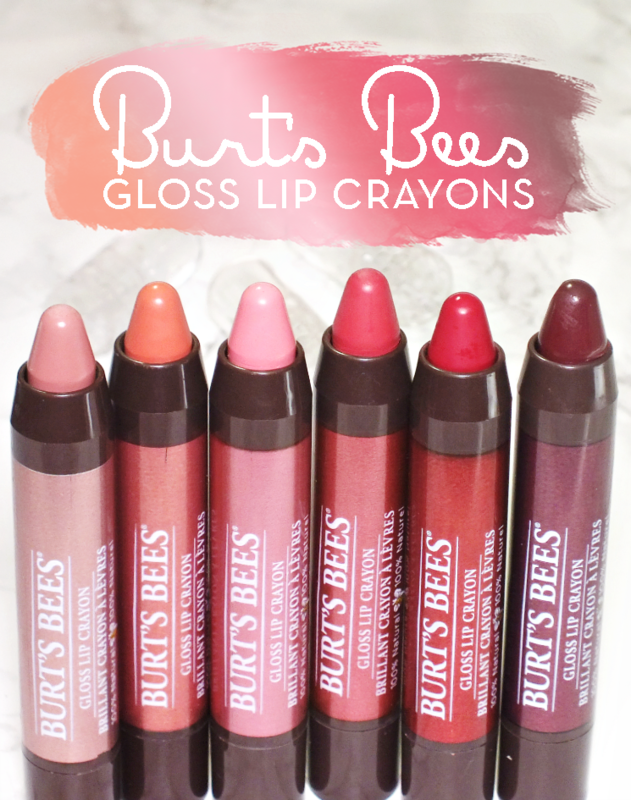 Housed in stylish metallic twist up tubes (that are also 100% recyclable) the Burt's Bees Gloss Lip Crayons offer up a nice alternative to your standard lip gloss. With a hydrating formula that includes Kendi Oil, Jojoba Oil and Shea Butter to nourish and protect, the glossy colour is easy to swipe on and feels great for hours. I was impressed that these offer so much pigment and that they still feel balmy and light. 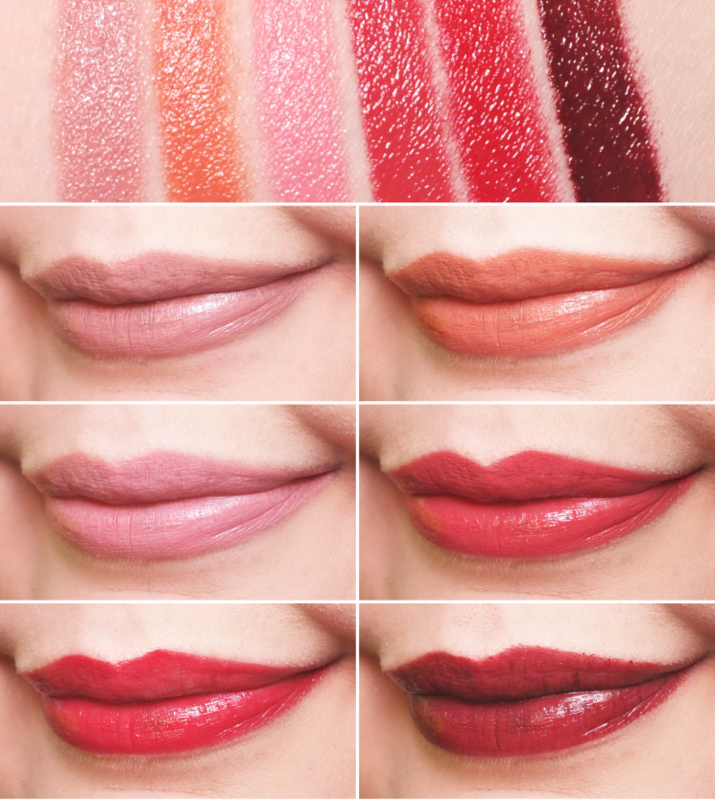 Of the six shades currently available, there is something for everyone with nudes, pinks, and reds represented. I did find the red shades bled a little, which isn't the norm for me, so it may be helpful to line lips with a clear lip pencil prior to application to keep things in check. The deepest shade (Bordeax Vines) was a bit patchy as well, ut I do find giving it a little pat with a finger evens it out pretty well. Overall, I love these! They're perfect for those with dry lips, as they really do add moisture, but are also just plain great for everyday. 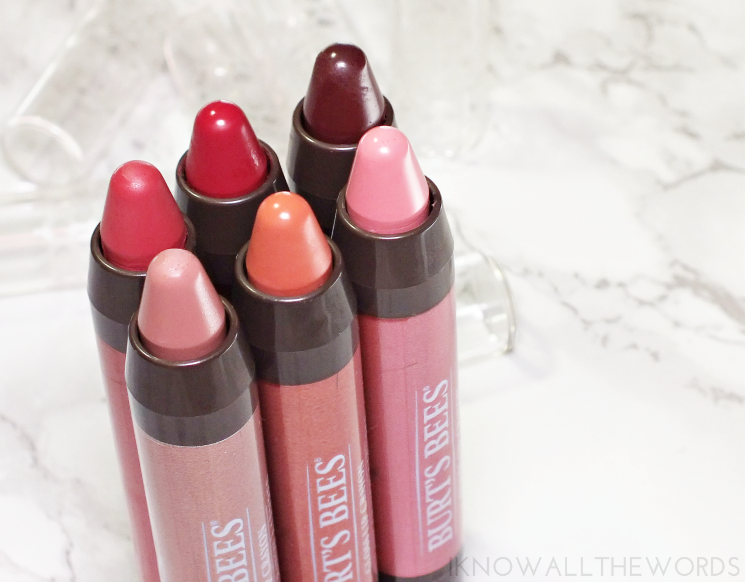 The shades are cute and you and easily find them at most drugstores. What do you think? Have you tried these or want to?